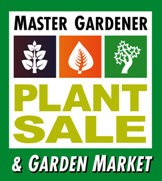 The Center for Urban Horticulture (CUH) 2018 Master Gardener Plant Sale is scheduled for May 4th and 5th. (A previous article had 2017 dates). A huge variety of unusual heirloom perennials, rhododendrons, native plants, veggies and herbs along with the best tomato choices around. These plants are known to grow well in our PNW climate. Best of all, have a gardening question? Ask-a-Master Gardener information booth to answer your plant questions and diagnose insect and disease problems. Free parking nearby BUT please do NOT park in the neighborhood adjacent to CUH. Help us to be good neighbors. Over two dozen specialty plant and garden vendors for great Mother’s Day gifts! Great Plant Picks booth. Here you learn more about selecting outstanding plants for the maritime Pacific Northwest gardens.